iPhone version is coming soon. Get in shape with our unique fitness program to build muscle and lose fat. Maximize your gym workouts by learning the right exercise techniques and finding motivation with our app starting as early as today! 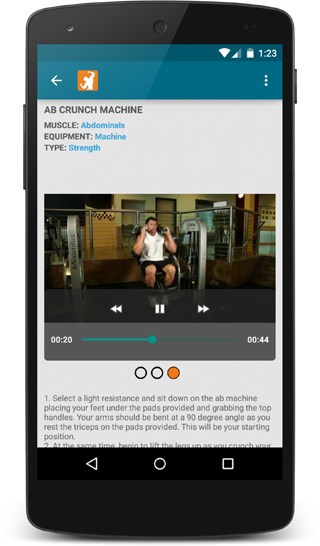 XtremeFit has special sharing feature allowing you to share your workout log with a personal trainer to get recommendations and improve your conditioning. For a personal trainer, this is great way to motivate your clients and help them achieve better results. Recommend this app to your friends, clients and help them move beyond any plateau. XtremeFit (Xtreme Fitness) will help you get in the best shape of your life with access to more than 200 instruction exercises and workout videos. 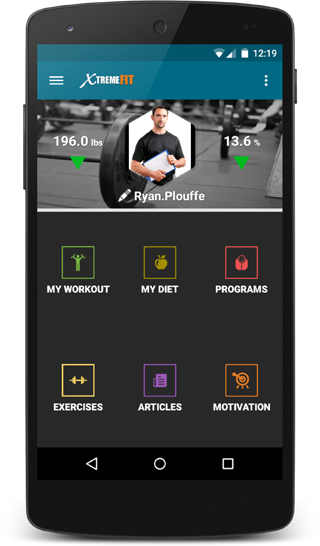 The app includes customized programs that help you achieve your fitness goals. Share workout log with personal trainer and workout partner. Workout log to help you track your progress and stay motivated. BMI calculator to help you track your weight loss and bodybuilding progress. Unique workout programs for men and women. Improve your cardio based on recommendation from bodybuilding experts and personal trainers. Unique workout programs for people under 50, under 40, and under 30 years old. You can also share your fitness progress with friends on your social media sites like Facebook and Twitter. Do you want to flaunt your weight loss or muscle building progress? Take a selfie and Instagram it! Be an inspiration to your friends by capturing daily progress of your workout journey. Build a timeline of how you got in shape.